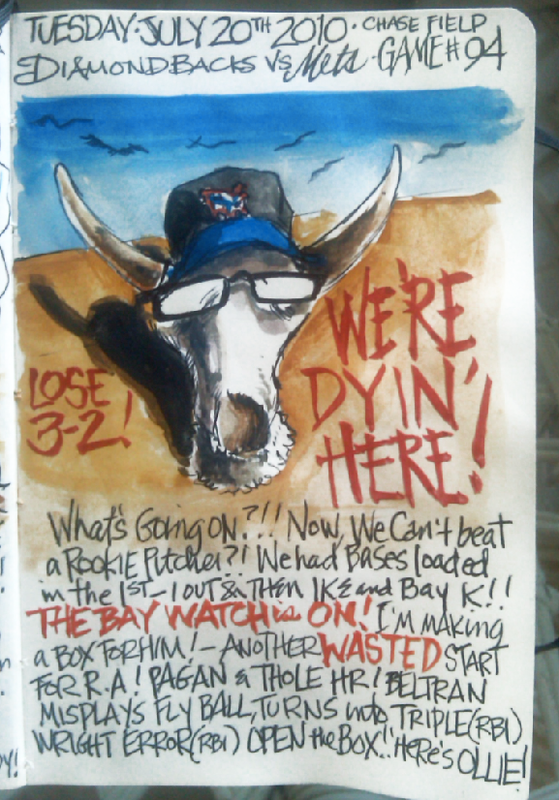 My Mets Journal: Dickey Stranded again by no Offense! Jerry! Your killin' me! You HAVE to beat the D-Backs! Especially with a rookie on the mound! Either drop Jason bay to #8 Or put him in a box! And now you're sending down Thole to make room for Ollie? Send down Bay he could use some instruction! We're making these guys look like the '27 YANKEES! Have you ever seen a team struggle with the bases loaded like this team? 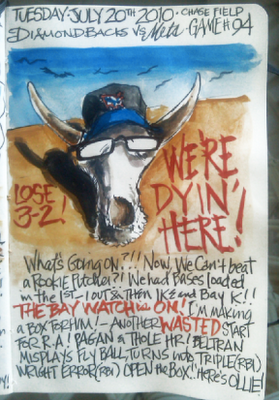 When they had the opportunity to blow the game open in the first inning last night, I knew bad things were ahead. Chad Cordero joining the bullpen! WOW, that's about as exciting to hear as Ollie Perez coming off the DL. Oh...I just can't wait for that Ollie Box to open up! Ahhhhhh! OLLIE!! STAY IN THE BOX! the Mets should sell your prints at Citi field.